Just like all Honda models, the Honda insight is sleek and stylish. Honda Insights are significant because they were the first production hybrid car to be sold in Europe. 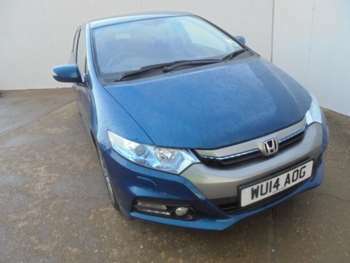 It is well-priced for such a good-looking hybrid car and there are great offers to be found on used Honda Insights for sale at RAC Cars. So, if you’re looking for something that is economical, performs well and looks great on your drive, look no further than our range of used Honda Insights. When you buy a used Honda Insight, you get a car that looks great on the inside and out. Most importantly, you can expect a car that is both reliable and economical. This car also has an excellent safety rating and you will find front, side and curtain airbags along with traction and stability control. There is plenty of leg room and the flat floor adds to the usable space. The used Honda Insight’s combination of a 1.3 litre engine and electric motor works well around town and on motorways too. The steering is light and overall the driving experience is good. But, it’s the economical nature of this car that’s exciting. Browse the range of used Honda Insights for sale at RAC Cars, to find the perfect car to suit your needs.